as a food desert, May 2016.
public health officials across the nation are employing creative approaches to boost the health of their communities. it disproportionately affects certain demographic groups: women, people of color, and less-educated individuals bear the highest rates of obesity. Childhood obesity rates are also continuing to rise. per year. Diabetes alone accounts for nearly 5 percent of U.S. health care costs. lowers the risk of dying early by 40 percent. 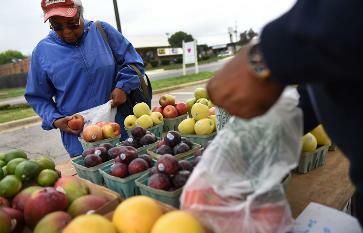 predictor of obesity rates than the presence of food deserts. with individuals and communities to improve health outcomes. vegetables, and lower levels of sodium and fat. menus. The FDA fully enacted this measure in May 2018.
would eliminate dedicated funding for nutrition, physical activity, and obesity efforts. State and local officials should invest as much as possible in creating and evaluating pragmatic, multisector policies to improve health outcomes. Examples of strong public policies to address obesity and exercise include sugary beverage taxes and investments in walkable communities. However, cities and states should also create programs that best address their specific needs. taxes across the state until 2031.
assessment, for example, prompted officials in Granville County, North Carolina, to develop a strategy to reduce obesity through physical activity. compared with the average North Carolinian. greenways and trails as of 2018. County officials have plans to construct an additional 200 miles of greenways and trails in the coming years. supplemented information collected through the interviews with additional public information and resources. increasing access to healthy affordable food.” This initiative has many different components, some of which are highlighted below. Overall, 23 percent of Baltimore residents live in Healthy Food Priority Areas, down from 25 percent in 2015.
than 5,000 residents no longer live in Healthy Food Priority Areas. working to create a new food policy environment for Baltimore residents. November 2016, many of the details of the tax’s implementation were addressed by the Boulder City Council on a quick timeline. health promotion and equity initiatives in Boulder. consumption as much as it otherwise could if consumers were aware of the increase in price and factored it into their consumption decisions. funding is going in order to better engage community members. food security or nutrition programs; physical fitness activities; and organizations working with particular groups, such as vulnerable older adults. initiatives to improve the health of low-income and minority communities in Boulder. Across the country, localities are engaging in initiatives to improve the health and well-being of communities and begin to tackle obesity rates. as a partner to state and local communities to provide consistent standards and robust federal funding. Twomey is the special assistant for Health Policy at the Center. Rhonda Rogombe is a former intern for Health Policy at the Center. responsibility of the Center for American Progress. This issue brief was published by the Center for American Progress, www.americanprogress.org.